» Independent release levers, allowing legs to fold effortlessly for loading into the vehicle. » Adjustable backrest, lockable in various positions for added patient comfort. 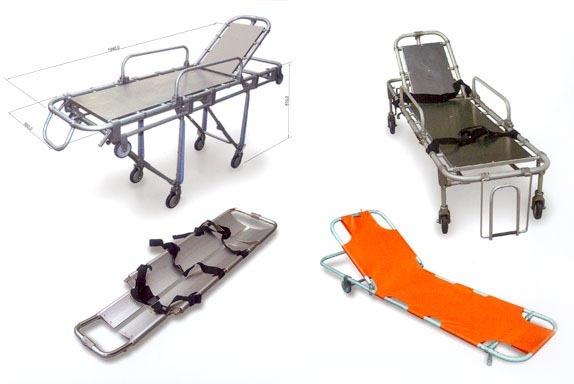 » Fold down cot sides to enable easier patient transfer. » Safety lock ensures the legs are secure in the folded position. » Light weight aluminium alloy material frame. » Single wheels at the head for easy manoeuvrability. » Folds in half for easy storage. » PVC Tarpaulin (Anti-bacteria material). » Maximum load capacity - 200Kg.